Oh the chemical joy of the addict… such a dark place to be. Yes took a warm bright word and looked at the dark side – only because I am taken with paradoxes! Bang on, as we continue to explore the dark underbelly of the holidays. But this alcoholic paradox embraces his addiction on regular days too. I do like the contrast between the flames and the darkness, real and metaphorical. So much of it is eyewash. Ah, to trade those fake dreams for the real ones…alas! This took me by surprise; splendid! A rich palette in those flames Frank! 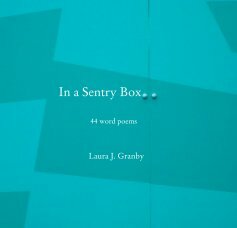 Brooding and cuts to the heart of struggle… no quarter here Laura – I liked it! “One too many cups that cheered” – this is my memory of Christmas, with my father – a holiday often spoiled by booze. Yes, too often it is. I liked your frost bitten cheeks spreading wide across the face. A slightly sardonic take on rosy health! I like the use of colour to highlight the flip-side of cheer, Laura. Nicely done – I particularly liked the wordplay in ‘crackling colour’ and ‘singular in piss-poor alleys’. The soundings are singing another story in this layered piece. And how that wind-blast cuts to the bone. Fiercely wrought. I have one inelegant comment: Wow! The portrait is especially well paced and for me somber when read out loud. Thank you for that evocative appreciation Janice! Am pleased you read it aloud – Poetry is for the voice but often we just read it. A fiery poem with various meanings to me, well done.